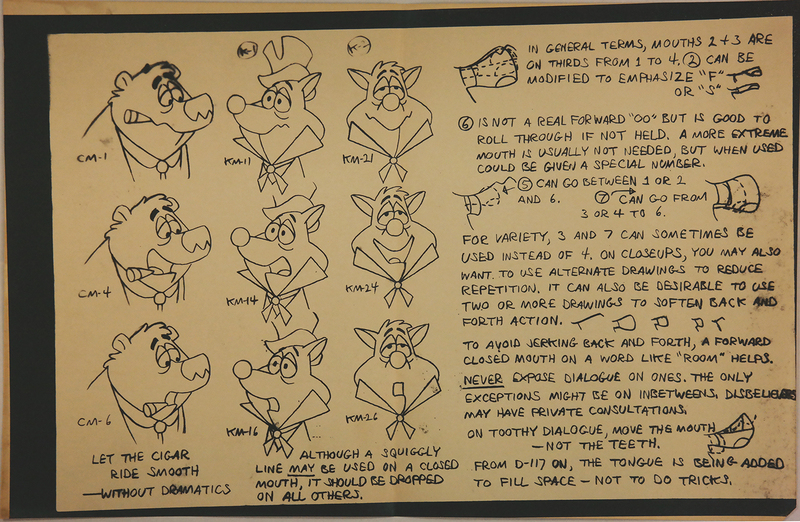 This is an original Photostat model sheet from the 1960s T.A.P. studios animated series, Calvin and the Colonel. The model sheet features the titular characters, and was created at the studio and used during the production of the series. The untrimmed paper measures 11" x 17" and the main area for imagery and notes measures 9" x 15".